Squirt Dish It Out onto your toughest, greasiest jobs for a clean that can’t be beat. Enjoy fast, easy rinsing with no harmful residues. Squirt into a sink filled with water for a bubbly bliss. Dish It Out is infused with Vitamin E & Aloe to Nourish Hands. 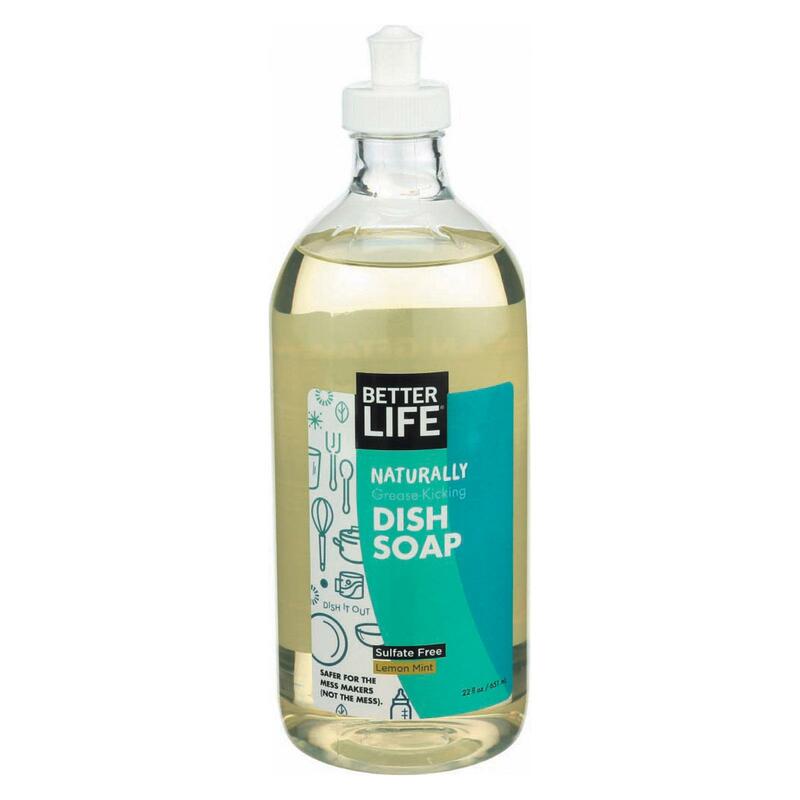 Today, Better Life’s products continue to challenge the way people think about natural cleaning – with more plant power, fewer warning labels, and formulas that are always safe for the mess makers (not the mess). We take great care to ensure our products are free of unnecessary ingredients that may pose health risks for people, pets, marine life, and the planet. They’re packaged using solar energy and recyclable materials, with formulas that biodegrade (break down in the environment) two-to-five times faster than leading natural and conventional cleaners. Purified water, potassium cocoate (natural castile soap), lauryl glucoside (plant derived), caprylyl/capryl glucoside (plant derived), decyl glucoside (plant derived), glycerin (vegetable), disodium coco-glucoside citrate, aloe barbadensis leaf extract, tocopherol (vitamin E), citrus aurantium bergamia (bergamot) oil, citrus medica limonum (lemon) oil, cymbopogon schoenanthus (lemongrass) oil, mentha piperita (peppermint) oil, citrus grandis (grapefruit) seed extract.